On 30 June 1894, four years before Josef Jakobs was born, the Prince of Wales (soon to be King Edward VII) officially opened Tower Bridge. Since then the bridge has become an iconic symbol of London. A marvelous feat of engineering, the bridge also has some hidden features which played a part in the saga of Josef Jakobs. During construction of the bridge, planners thoughtfully incorporated a mortuary into the north pier of the bridge. Due to tidal currents in the river, bodies that ended up in that part of the Thames River due to accident, suicide or convenient disposal, tended to congregate along that part of the riverbank. 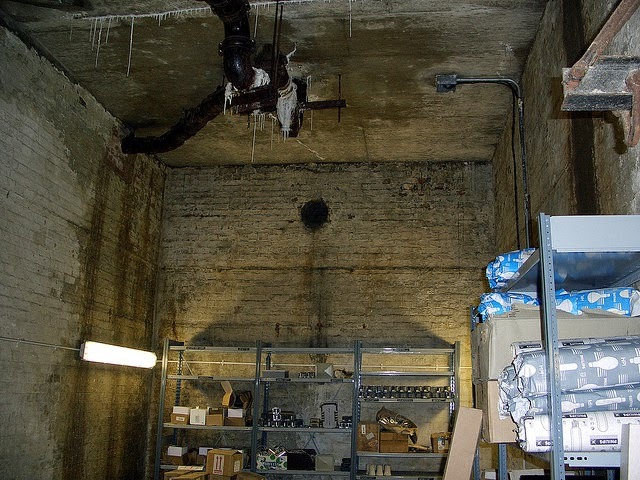 The mortuary came to be known as Dead Man's Hole. On Friday 15 August, 1941, after Jakobs' execution at the Tower of London, his body was transferred to the Tower Bridge Mortuary. Sir Bernard Spilsbury and East District Coroner W.R.H. Heddy performed the post-mortem on Jakobs. Jakobs' body may have been stored in the mortuary until Monday, 18 April, 1941, when it was transferred to St. Mary's Roman Catholic Cemetery (Kensal Green) for burial. The old mortuary can be accessed by a couple of routes. It is easily accessed from the east end of the north approach to the bridge (opposite Starbucks). In Google Streetview, one can see that there are two arches, one with a lamp-post and one with a large wooden doorway. The wooden doorway leads to the Tower of London promenade. 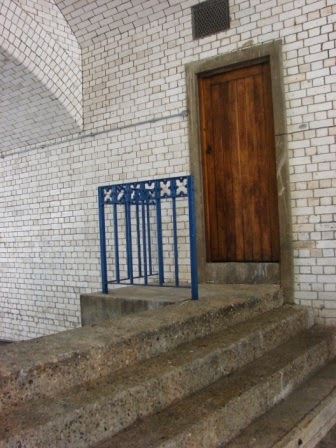 The archway to the left, with the lamp-post leads to the mortuary (behind the fence in the background) and to the Tower Bridge steps. "This site was formerly used to retrieve the many corpses that were thrown into the river from the Tower and surrounding districts. 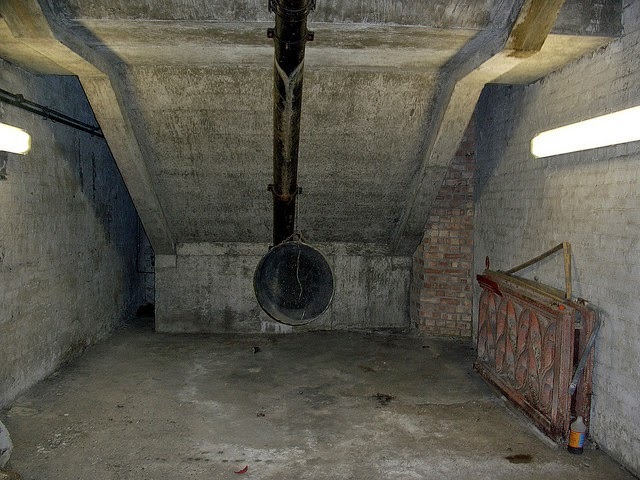 They were stored in the mortuary below these steps until removed for burial." 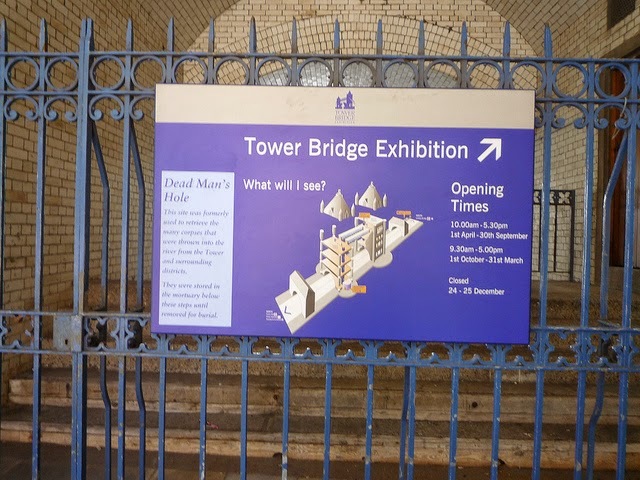 The steps referred to in the sign are for access to the west side of the Tower Bridge and are located just to the right of the photograph. Within the fenced-off area, a wooden doorway with a metal grill above it (just visible on the right side of the photograph) gives access to the former mortuary. Interestingly, on 28 October 2005, Most Haunted Live filmed an episode which included Tower Bridge and the old mortuary. While overly dramatic (complete with an Ouija board), the programme does give a tour into the old mortuary. The programme is available in parts on Youtube. The first one is filmed outside the former mortuary and the second one is filmed inside the former mortuary. 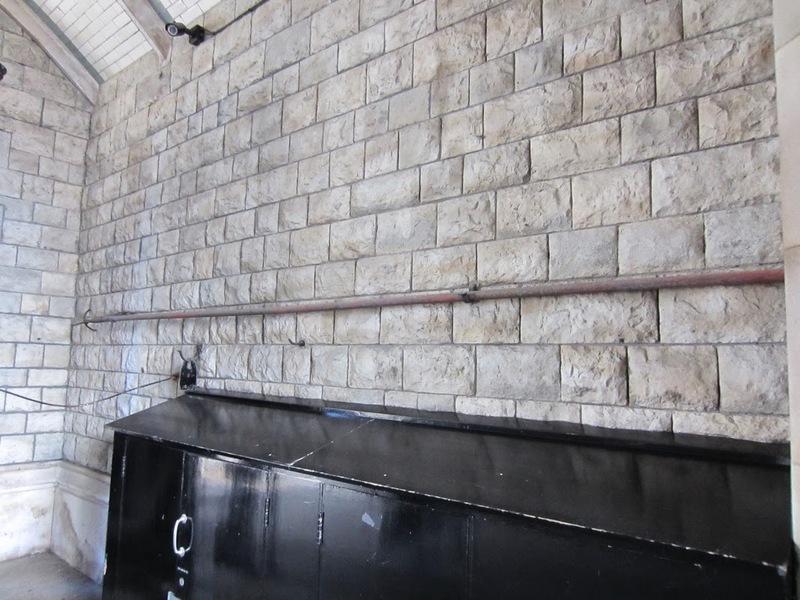 A colleague of the crew took some photographs of the former mortuary during the day, a rare glimpse into a room not often seen. As one passes through the wooden doorway, one enters an antechamber with a set of stairs that lead down and to the left. At the base of the stairs is an archway (seen along the right side of the photograph) which leads to the main chamber of the mortuary. 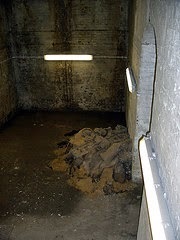 A pile of sacks lies on the floor near the archway. As one enters through the archway, into the main chamber of the old mortuary, one enters along the side of a long rectangular space. 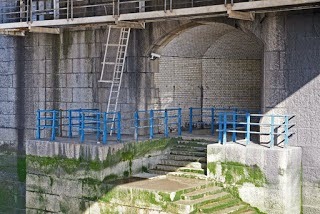 To the right of the archway is the angled underside of the Tower Bridge stairs. Main mortuary chamber looking to the right from the antechamber archway. 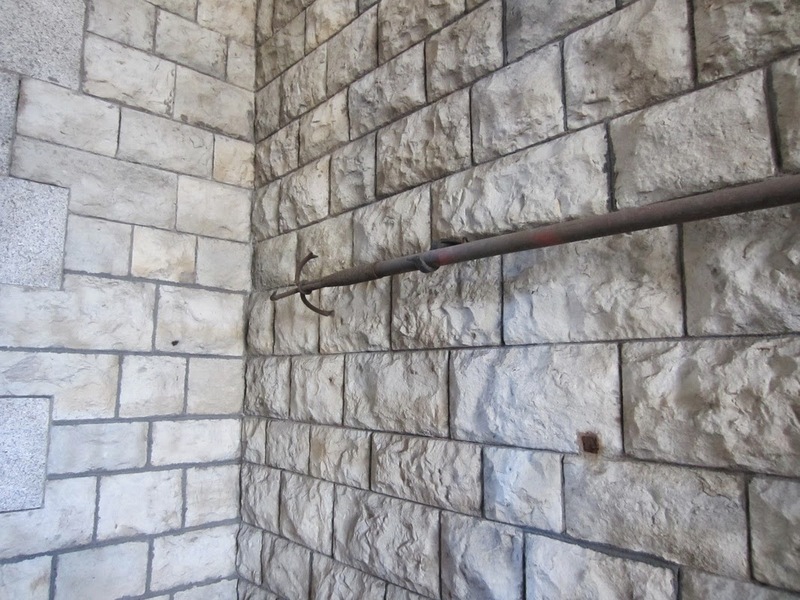 To the left of the archway, the chamber becomes much taller and includes some storage shelving. Main mortuary chamber looking to the left from the entrance. 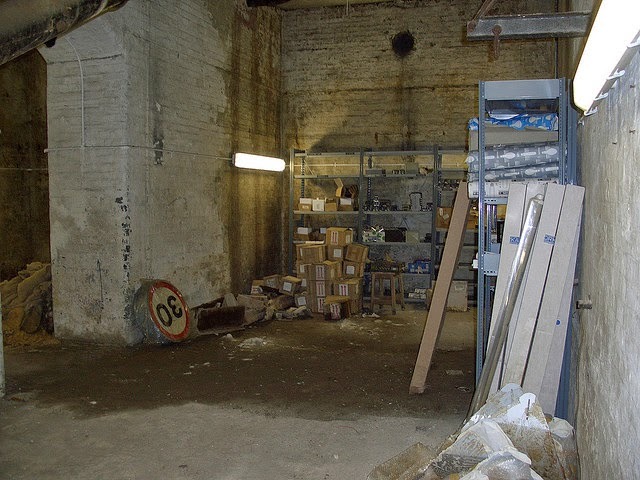 The mortuary chamber, used for such grim purposes in the past, is now a dank storage room filled with detritus. antechamber is visible along the left side of the photograph. This series of photographs contrasts with a photograph taken in the mid 1970s by Winston Ramsey from After the Battle magazine. 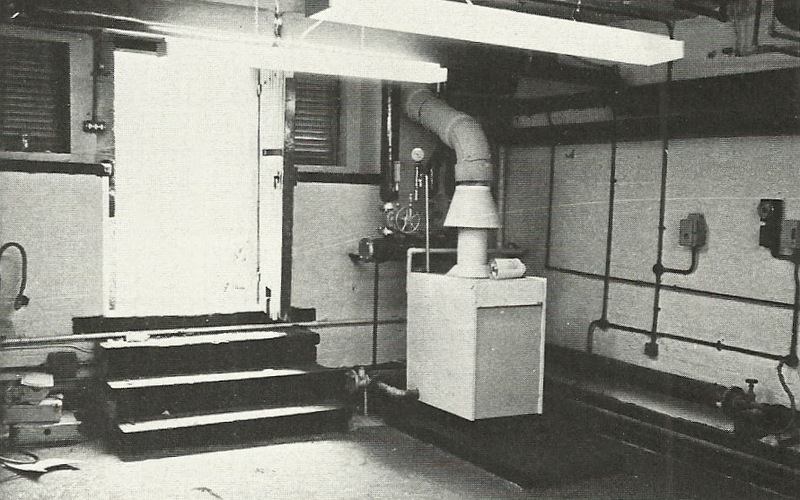 Ramsey's photograph shows a boiler room which is clearly not the same as the images taken at the location under the Tower Bridge. On a side note, an astute blogger noticed an interesting artifact which may relate to the history of the old mortuary. In Google Streetview, the old mortuary is located within the archway to the left. The archway to the right leads to the Tower of London shore promenade. If one looks behind the large wooden door in the archway to the right, one finds a black cabinet against the wall. the Tower of London shore promenade. Above the cabinet is a long pole (about 8 feet in length) with a three-sided hook on the end of it. The blogger thought that the pole was perfectly suited for pulling bodies out of a river. Josef was most likely not the last person to pass through the old Tower Bridge mortuary. He was however the last one to come via the Tower of London.